Terry Horsmon is the Managing Partner and Project Executive of True North. He co-founded True North Leadership in 1992 in Los Angeles. The company split into separate consulting and training companies in 2003. 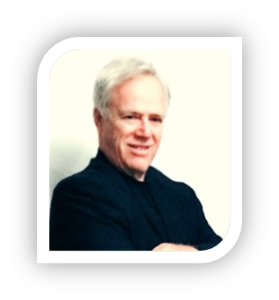 Terry has developed the consulting and project management business since then. Terry has spent nearly 12 years in Asia creating hundreds of relationships with dozens of partner agencies and service providers to build award-winning and high impact advertising. As a global marketing consultant, he has worked with every 4A agency in Asia and the US, as well as many of the local shops. He maintains partnerships with dozens of service providers and is a prolific blogger, social media commentator and networker, Terry understands both traditional and digital media, and his strengths are in research, insights and social media community building. Terry attended Amherst College, Yale University and Harvard Business School. He was trained at McKinsey & Co., MIT Innovation Lab and Monitor Group/Global Business Network, where his clients included Columbia Pictures, General Electric and Bank of America. Since 1980, he has held senior management positions in entertainment and media companies in the U.S. and Asia. Terry has participated in the launch of twelve companies globally- seven of them in Asia. He splits his time between Los Angeles and Asia, where his team is based in Shanghai.